During the early weeks of his 167-day stint aboard the International Space Station in 2014, astronaut Barry “Butch” Wilmore noticed that a torque wrench was missing. “It’s not uncommon for things to disappear in space,” he tells me over the phone from the Johnson Space Center in Houston. “You just don’t have gravity keeping stuff in place,” Wilmore mentioned the missing tool to Nasa’s mission control as he was tending to a 3D printer, a microwave-sized box that extrudes heated plastic to build up objects layer by layer, which was being tested on the space station. About a week later, Wilmore opened the door to the 3D printer to find a perfect replica of his missing wrench. He was thrilled, a moment captured in a photo that was shared with the world’s media at the time. Until that point, the machine had produced only very simple objects. “This was a printed, all-inclusive wrench, with a ratchet mechanism, that worked,” Wilmore says. 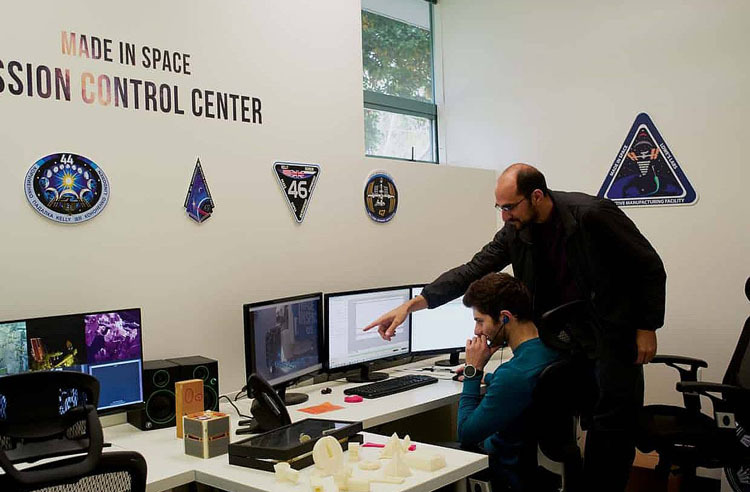 Unbeknown to the astronaut, the team that designed and operated the 3D printer – a California-based company called Made In Space – had been listening in on his conversation with Nasa (a privilege for companies working with the space agency) and worked round the clock to design a version of the tool that met Nasa’s rigorous safety requirements. For Dunn, that wrench is symbolic of an entirely new frontier in space exploration, one in which his eight-year-old company is a pioneer: manufacturing items in space, rather than relying only on those objects you can find room to pack on a rocket from Earth. Made in Space’s Archinaut system could 3D print very large struts. Robots to assemble them into large structures. “It’s a really neat capability that allows us as humans to extend our reach beyond Earth,” he tells me. 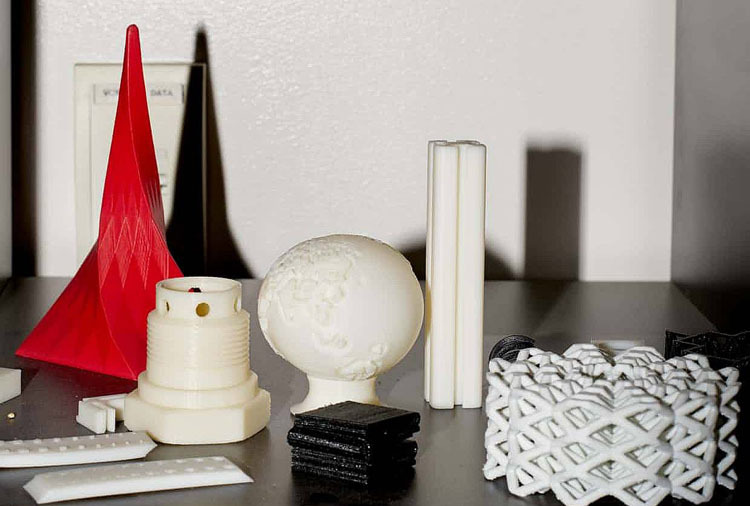 Supplying the 3D printer on the International Space Station was only the start: the company is developing systems for making and assembling not only small tools and trinkets, but giant structures such as satellites and, eventually, even space colonies – houses on the surface of the moon or Mars, or giant spaceships on which people could live and work. Dunn, 33, is sitting in a scruffy conference room called The Bridge – a nod to the Star Trek command centre – on the second of two floors in a long building that once served as barracks for the US navy and now houses most of Made In Space’s 43 employees. It’s one of dozens of nondescript white buildings dotted around Moffett Field in Mountain View, which was closed as a military base in 1994 and turned over to Nasa for research purposes. The agency leases buildings to different advanced technology companies with whom it has research ties. From the outside, there’s no sign of the cosmic ambition bubbling up inside. With his stubble and dark hair, swept to one side, Dunn looks like a dishevelled Clark Kent. He traces his interest in exploration back to his childhood in Florida. He lived by the Gulf of Mexico, where he and his friends would spend hours in a little boat exploring mangroves and islands. That feeling grew after he watched the space shuttle launch from the nearby Kennedy Space Center at Cape Canaveral, seeing what looked like “a little star” moving up into the sky. “I remember the fascination of seeing that one star and thinking ‘There’s people on it, disappearing into space’,” he says. “Everyone on the planet sits on the shoreline of space. It’s this big ocean we should be exploring,” he adds, with a tinge of wistful disappointment about the lack of progress. For Dunn, working at Nasa seemed inevitable: he was inspired by his high school physics teacher, who had been a finalist in a group of teachers selected by Nasa. Later, he studied aerospace engineering at the University of Orlando, where he worked on the shuttle programme via an internship at Boeing, which was contracted by Nasa to build the spacecraft. Dunn was enamoured of the vision for the space shuttle. Initially sold to the US Congress in the early 1970s as a reusable vehicle that would fly to space on a routine basis, it promised a much cheaper way of sending things there. 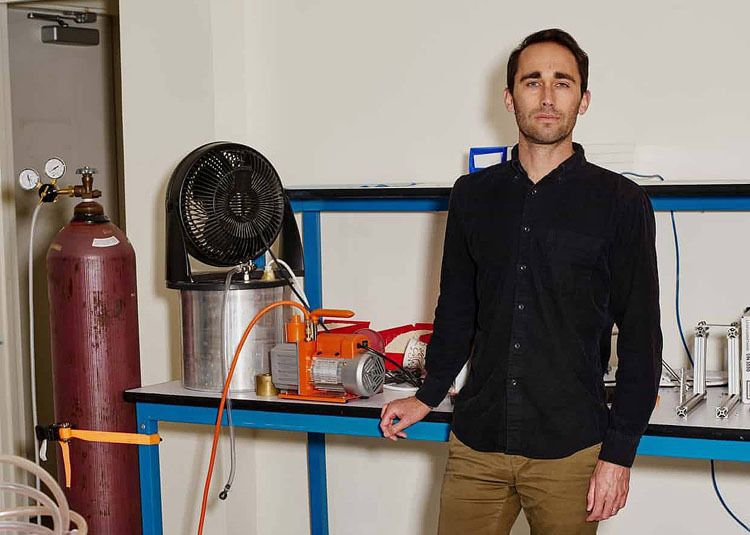 This led scientists and engineers to think creatively about what they could build if they weren’t hamstrung by the prohibitive cost. “Once we have low-cost access into and back from space, then the industry changes and opens up,” Dunn explains. Matthew Napoli and Dylan Tepper inside the mission control room that digital print files are sent to the space station from. Photograph: Nicholas Albrecht for the Guardian. Feeling lost, he turned to a college-based club called Students for the Exploration and Development of Space, where he met entrepreneur Peter Diamandis, founder of the X Prize, a non-profit organisation that stages lucrative competitions to reward teams who develop breakthrough innovations. 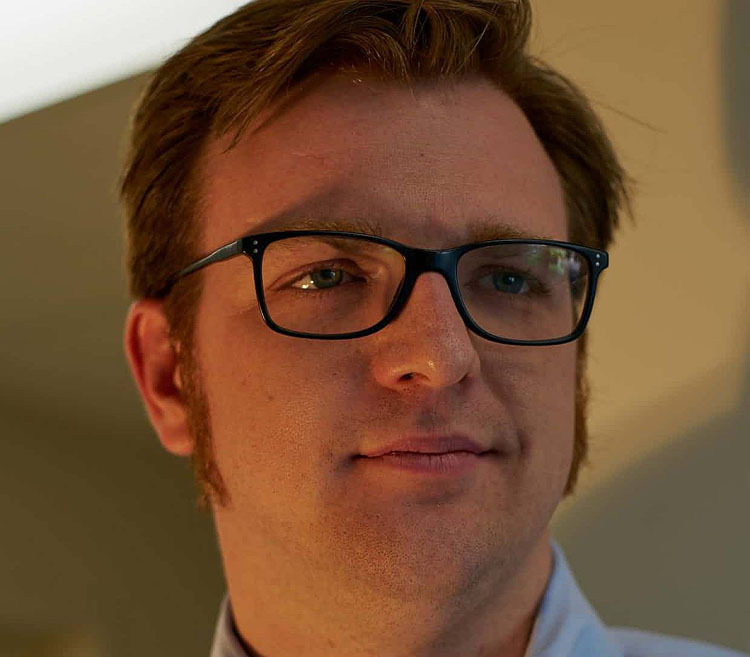 Dunn learned that he could create a startup in the space industry. This seemed “ludicrous” at the time: to his mind, the space industry was the preserve of nation states and giant companies such as Lockheed Martin and Boeing. In the summer of 2010, Dunn moved to California to attend Singularity University, an educational programme and business incubator co-founded by Diamandis, which focuses on “exponential” technologies such as artificial intelligence and driverless cars. There, Dunn met two of his Made In Space co-founders – Mike Chen and Aaron Kemmer – and together they spent 10 weeks researching the space industry and ideas for a sustainable business; the fourth co-founder, chief engineer Michael Snyder, joined shortly after. Asking that question meant they were no longer restricted to dimensions of space objects that could be packed inside a rocket and able to survive the shuddering forces of a launch from Earth. Dunn predicts that, over the next 10 years, space will become an industrial zone filled with orbiting factories. “Like oil platforms on the ocean, but not polluting.” There are already several companies – including Axiom Space, with which Made In Space has formed a partnership, and Bigelow Aerospace – building commercial space stations that could house manufacturing equipment in orbit within a couple of years, Dunn notes. Eventually, he says, people will go to the factories in space to work in much the same way as oil riggers do. “Although most of the manufacturing will be automated, you need people to fix and maintain the robots. It might not be pretty, it might not be that safe, but they will make a good living and then come back home.” Others will pay to go on “cruise ships”, either to orbit Earth or “do a nice week-long trip around the moon”. Companies such as Blue Origin and SpaceX are making “huge strides in delivering humans into space safely”. Made In Space’s Jason Dunn: ‘I grew up with this fascination with exploration.’ Photograph: Nicholas Albrecht for the Guardian. 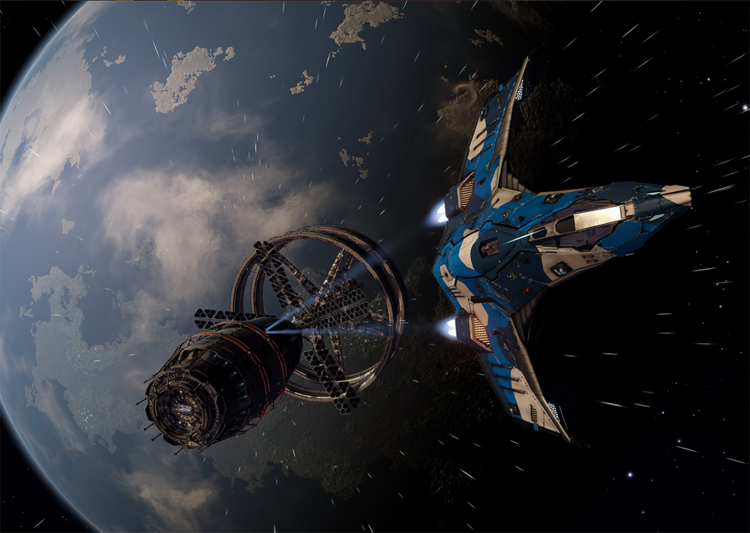 The relationship between orbiting factories and launch companies will be symbiotic. “They are really opening the frontier of space,” Dunn says. “We built our company on the promise of what they are creating; they are building their companies based on the hope that Made In Spaces will exist.” He is close-lipped about specific commercial relationships with the launch companies, but says that his company is “actively working” with some of them. Over time, manufacturers will start to populate Earth’s orbit, starting at lower altitudes and working their way out in concentric circles until they reach the moon. Made In Space is even preparing for a lunar colony by developing “rego” bricks, made by combining a special polymer with simulated moon dust (regolith). The bricks, which look like samples of paving stones in various shades of grey, are heavy and feel plasticky. In theory, a brick-making autonomous vehicle could use the dust on the surface of the moon to construct housing ahead of astronauts’ arrival. Some of Made In Space’s printed products. Photograph: Nicholas Albrecht for the Guardian. I ask if Made In Space is more Star Trek or Star Wars. He laughs, then hesitates, reluctant to alienate an entire tribe of potential recruits. “You will get me in trouble,” he says, before conceding, “I think I’d say we are more Star Trek.” The life-sized cardboard cutout of Spock in the reception area is a bit of a giveaway. As are the framed posters on the wall by the stairs for 1960s episodes of sci-fi television series such as The Tholian Web and Mirror Mirror. “In Star Trek, the technology and the philosophy are often more motivating than in Star Wars, which is more of an epic-driven narrative and universe,” Rush explains, adding that “space is a team sport”. At first, the team assumed that Nasa already had a 3D printer on the space station, but discovered that, although the agency had experimented with the idea in the late 1990s, it decided that the printing technology was too immature and the space station too small at the time to risk it. However, once the space station expanded, Nasa designated the US segment a national laboratory, inviting companies, research institutions and government agencies to pitch microgravity research projects. Made In Space flew out to the Marshall Space Flight Center in Alabama, to pitch the commercial potential for 3D printing in space. The problem with regular 3D printers is that they are designed to work in gravity. Without that constant downward force, you have to secure every belt, cog and pulley – a few millimetres of unintended movement wreaks havoc on the printing mechanism, leading to failed or wonky printing. The team also had to automate almost every part of the experiment – the combination of strong anti-nausea pills and the novel sensation of floating meant human-made decisions were virtually impossible. Adjustments would be made to the printer after each flight, until they finally cracked it on the 10th mission. Made In Space CEO Andrew Rush: ‘Space is a team sport.’ Photograph: Nicholas Albrecht for the Guardian. The printer was installed on the International Space Station in November 2014. The first thing it printed was a part for the printer: a plastic electronics cover about the size of a playing card with raised wording that read “Made In Space”. A month later, it would print the missing torque wrench, which underlined the potential of the technology to astronaut Barry Wilmore. “It’s going to be a game-changer, or as we say in Tennessee, it’s a big dang deal,” Wilmore tells me, although he adds that he wasn’t allowed to use the wrench because it had to be sent back to Earth for assessment. Staff operate the game-changing printer from their own mission control, a small office space with two work stations, each of them with three screens – some showing live video feeds from around the space station, others directly looking at what’s being printed. Made In Space will talk to a Nasa payload communications manager (a “Paycom”) in Houston, who will relay messages or instructions to the astronauts. On rare occasions, if there’s a complicated technical issue with one of the machines, Made In Space will communicate directly with astronauts. Unlike most startups, particularly in capital-intensive industries such as space, Made In Space has never taken any external investment. The core technologies of the business have been funded through development contracts from Nasa and the Defense Advanced Research Projects Agency (Darpa). Research groups and companies also pay Made In Space for time spent using its microgravity 3D printer. The money from this core work allows the company to explore more out-there projects, such as building on the moon. Archinaut is designed to manufacture giant satellites and space telescopes. To make large structures, Made In Space needed a 3D printer that could print off as long an object as required. It managed it: there’s a 37m-long strut stretching the length of the hallway on the ground floor of its headquarters. “It’s larger than the solar wing on the ISS,” Rush says (in February, it was awarded a Guinness World Record for being the world’s longest 3D-printed nonassembled piece). With that in mind, Made In Space has developed a pilot factory contained inside a metal box roughly the size of a mini-fridge, which can produce a few kilometres of fibre per mission. So far, it’s only been tested fully on the space station once, before it was brought back to Earth to assess the quality of the fibre and tweak the system. This month, the machine is being installed a second time, for further testing.